Yarn Type A brilliant new addition to our Hayfield essentials range. Baby Blossom Chunky is an incredibly pretty self-patterning yarn for babies and girls, dainty little flowers appear in stripes as you knit! 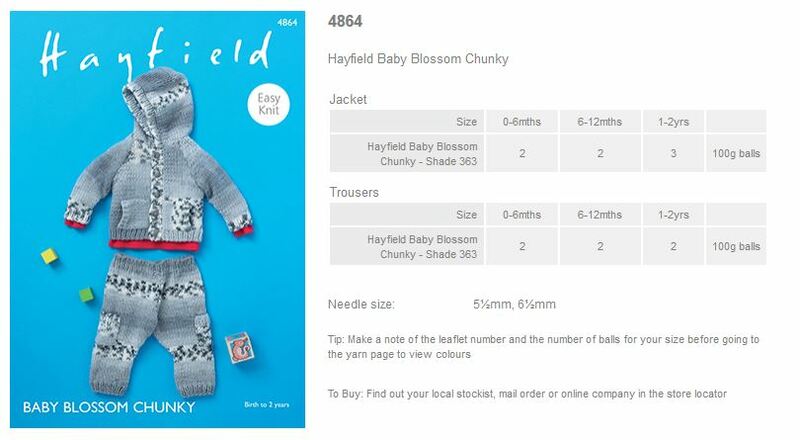 Baby Blossom Chunky comes in 6 perfect baby shades and has a collection of 4 leaflets that include designs for blankets, pretty little cardies and hoodies and trendy little ponchos. Machine washable. Wool Cycle. 70% Acrylic, 30% Nylon. 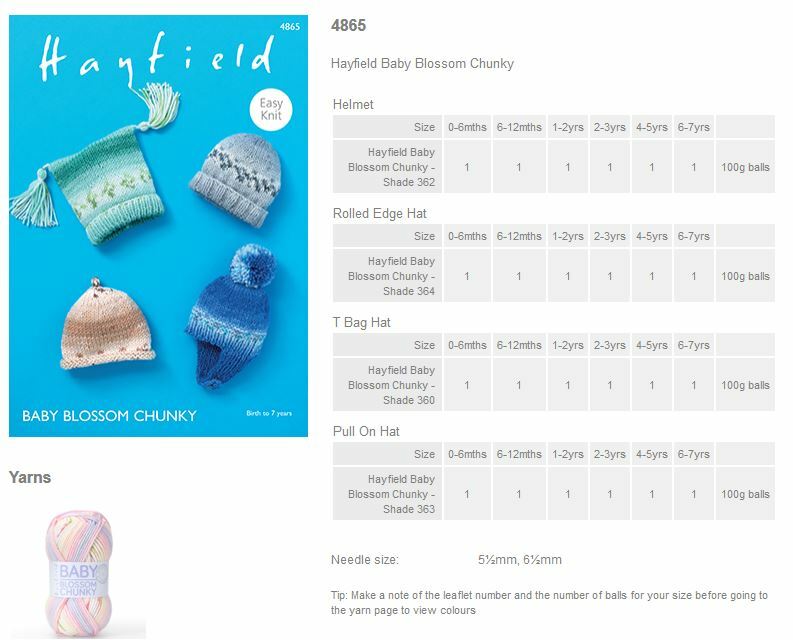 Leaflet with designs for a Helmet, Rolled Edge Hat, T Bag Hat and Pull on Hat using Hayfield Baby Blossom Chunky. 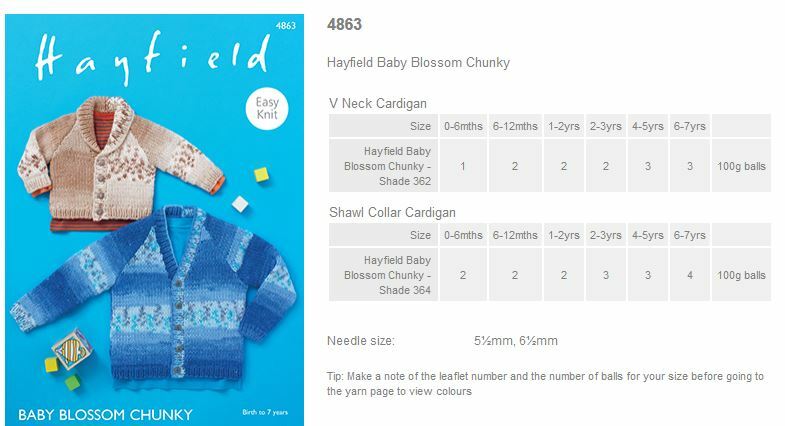 Leaflet with designs for a V Neck Cardigan and Shawl Collar Cardigan using Hayfield Baby Blossom Chunky. 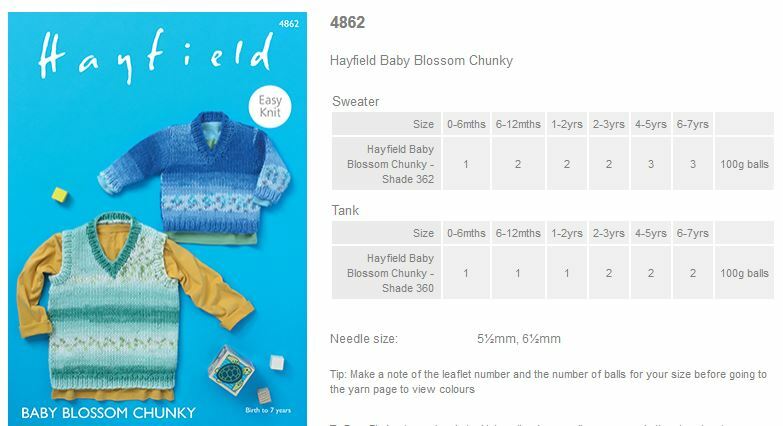 Leaflet with designs for a Sweater and Tank using Hayfield Baby Blossom Chunky. 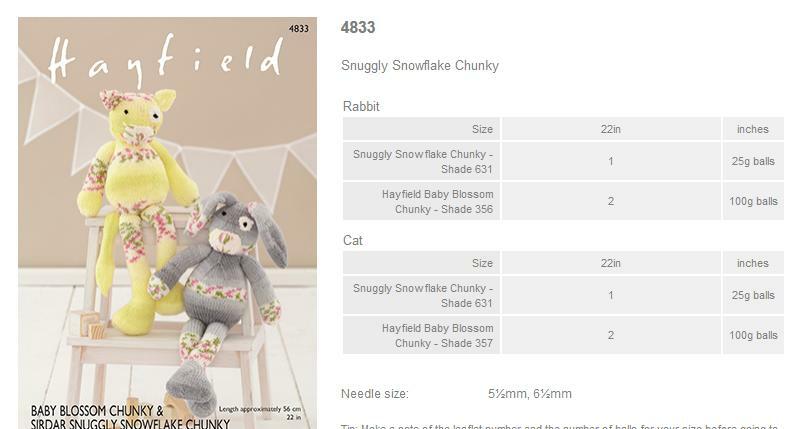 Leaflet with designs for a Cat and Bunny using Hayfield Baby Blossom Chunky. 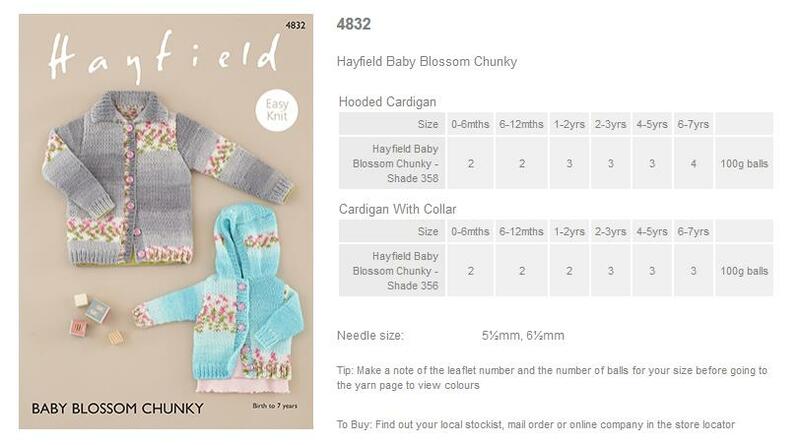 Leaflet with designs for a Girls Cardigan and Hoodie using Hayfield Baby Blossom Chunky. 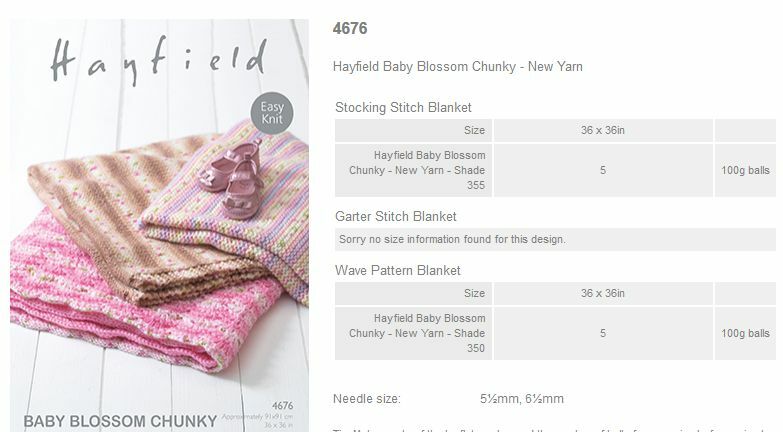 Leaflet with designs for a Stocking Stitch Blanket, Garter Stitch Blanket and Wave Pattern Blanket using Hayfield Baby Blossom Chunky. 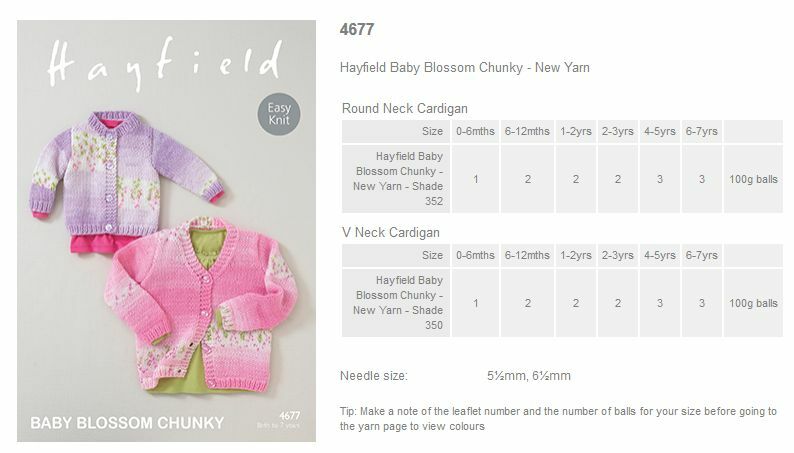 Leaflet with designs for a Round Neck Cardigan and V Neck Cardigan using Hayfield Baby Blossom Chunky. 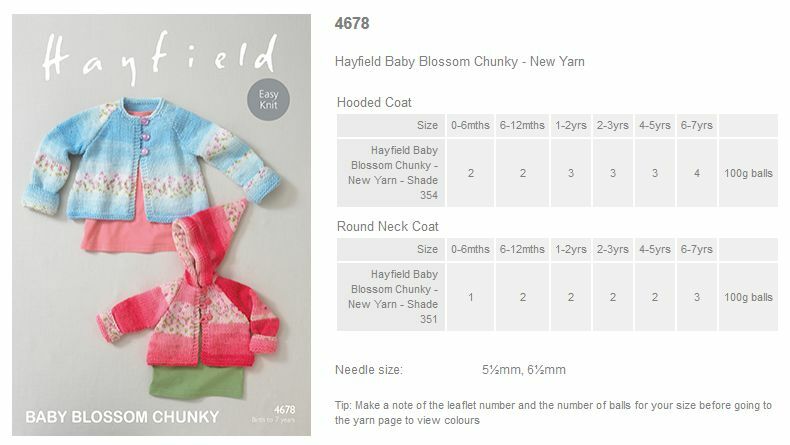 Leaflet with designs for a Hooded Coat and Round Neck Coat using Hayfield Baby Blossom Chunky. 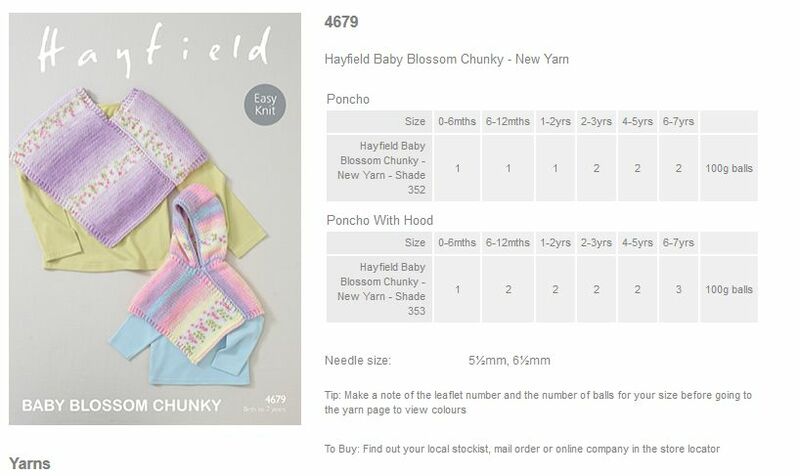 Leaflet with designs for a Poncho and Poncho with Hood using Hayfield Baby Blossom Chunky.